Kyegu Relief Fund is a charitable overseas aid fund, a voluntary and not-for-profit NGO established for disaster relief and the relief of poverty through development aid activities. 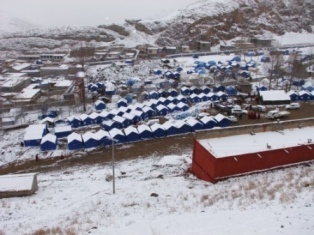 The Fund was established in response to the devastating 7.1 magnitude that hit the eastern Tibetan town of Kyegu (known at Yushu in Chinese) on 14 April 2010. The Kyegu winters are always cold with temperatures well below freezing. The people are used to this, and the yaks are still able to forage for food even in the icy conditions. But every 10 years or so Kyegu experiences huge snow falls which make it impossible for the yaks to find food in the deep snow drifts. When the tragedy stuck in 2010, approximately 10,000 people were killed, 20,000 injured and 100,000 left homeless. More than 90% of the buildings were reduced to rubble. Many survivors had no family left. Thousands were cremated at the local Kyegu Monastery. • help us build a family more stable accommodation. Only through your support can we continue to work to help the people of Kyegu. The Fund has no paid employees, we work on a voluntary basis. All donations go towards supporting those in need. You can donate via PayPal or direct deposit.